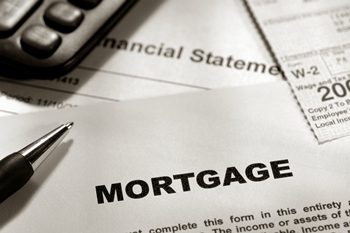 It’s not for everyone, writes Anson Martin of Verico Fair Mortgage Solutions, but private financing can get the financing your client needs if the broker is willing to work for it. Since getting into the mortgage brokering business I’ve been heavily involved on the private lending side. I’ve seen the worst of the worst and it’s a very different scene from your typical “AAA” client. While rule changes in the mortgage world over the past few years − from the B-20 guidelines to the latest news from CMHC only a few months ago − have certainly made it more of a struggle for some to obtain an approval, many of these types of clients would not have been approved by an “A” lender even before the revisions to lending policies, and are in need of a viable option. Putting together a private deal is not for everyone. Many brokers prefer to concentrate on “A” work and that’s fine, everyone has their own type of business they focus on. Personally, I like the challenge these situations present and more often than not, a client is far more appreciative of you helping them out in a bind and become clients for life, not to mention telling all their friends about how you helped them when their bank wouldn’t. Still, it takes a lot of work to figure out how to place these deals and having the right connections with lenders who will actually finance them. After all, not every client has a home in the GTA with lots of equity. Often times a broker can turn to a “B” lender when there are certain issues such as someone in a credit rebuilding phase or a self-employed client who is unable to verify income through traditional means. While in some cases a solution can be found, it’s certainly not a catch-all for bank declines. Even some of these types of lenders have tightened up and aren’t quite as flexible as they once were. Depending on factors such as location and the extent of the credit issues they may scale back on the LTV, leaving a shortfall the client is unable to cover.